Wildly Fun! Fun on the outside, serious about animals on the inside. Zoo Knoxville is committed to being part of the solution to save species from extinction, both locally and globally. Because of their success in breeding of red pandas, Zoo Knoxville is widely considered to be the “Red Panda Capital of the World”. Zoo Knoxville gives guests the chance to experience wildlife up close and come face to face with the world’s most fascinating animals. The zoo is bringing the world to you with the biggest, wildest project undertaken in its history, Asian Trek. Tiger Forest at Asian Trek is now open! 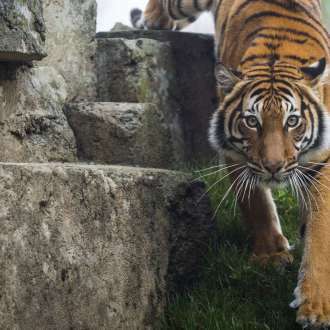 Here, you will meet Arya, one of the very few Malayan tigers in the world. In Spring 2018, Langur Landing and Gibbon Trails will be debuting. Dare to come closer today. Visit the Zoo Knoxville website to learn more! 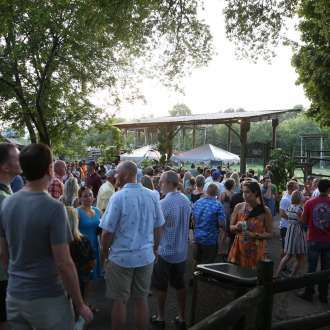 Zoo Knoxville is one of the premiere zoological experiences in the southeast. Committed to sharing ‘wildly fun’ experiences that educate and inspire, the Zoo features acres of creative habitats for animal lovers of all ages to explore. Be entertained and amazed by giraffes, elephants, gorillas with their babies and chimpanzees as you travel through Grasslands Africa, Gorilla Valley and Chimp Ridge. Guests of Zoo Knoxville can ride a camel, feed a giraffe and get wet in the Clayton Safari Splash water play area. Don’t forget to stop by and visit our beloved red pandas in Red Panda Village! Zoo Knoxville is the top zoo in the world for the breeding of this endangered species. Zoo Knoxville is open daily from 10 am - 4 pm (closed Christmas Eve/Day). Tickets range from $16.95 - $19.95. Children under 4 admitted FREE. Zoo Knoxville is proud to team up with Navitat Knoxville! Now, you can experience BOTH of Knoxville’s best attractions at one great rate. Buy a COMBO PASS, and SAVE 15% when compared to purchasing tickets separately. Tickets may be purchased at Zoo Knoxville’s ticket windows, at Navitat Knoxville or by calling 865-637-5331. You can also purchase tickets at the Visit Knoxville’s Visitors Center located at 301 S Gay St, Knoxville, TN 37902. *Tickets must be used/redeemed at both locations (Navitat Knoxville and Zoo Knoxville) within two weeks of the original date of purchase. 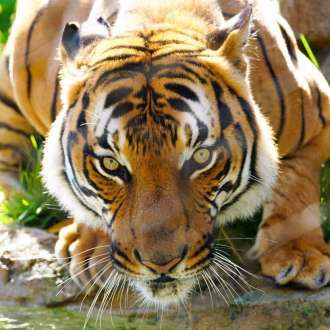 Read this FEATURED article about Zoo Knoxville!